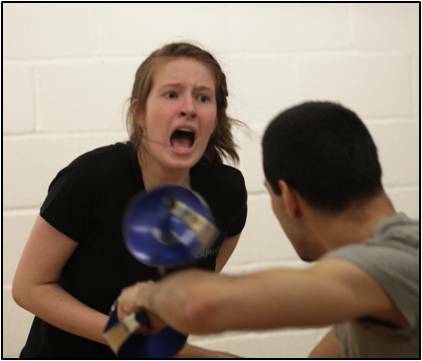 FIGHT THE GOOD FIGHT Workshop 2015 | Captivate Action Ltd.
A week of throwing yourself into fighting with weapons for theatre, motion capture and film! We invite you to an industry-focused week in performing dramatic violence for stage and screen –the technical, the artistic, the performance, and of course the fun! 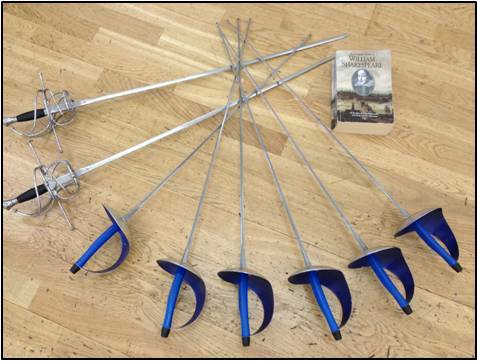 We will be covering a range of weapons throughout: such as swords, knives, staffs… and actually whatever is lying to hand. While coming to grips with technique, our focus will be how you can use these weapons to help tell a story and bring out the dramatic moments in a scene, highlighting the character journey and the emotional intent – ie. 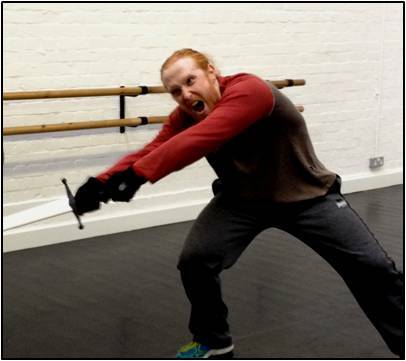 to do the job of an actor combatant. By the end of the course you will not only have increased your skill base (and casting options), your conditioning and artistic range, but will have furthered your understanding of how to work and perform in this industry. 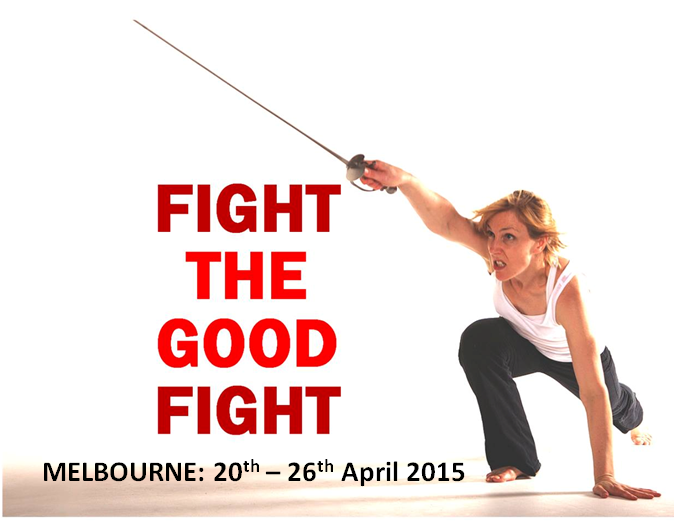 We have had an overwhelming number of signups, and our APRIL 2015 course has now SOLD OUT. However we are taking down names for our WAITING LIST, and if there is sufficient demand we may set up another course shortly. If you are on the Waiting List we will give you first refusal if there is a cancellation on the course (in order of registration). Also, you will have first refusal if we do set up a second course in May or June – which may be either another week-long course, some weekend workshops, or evening classes. If you wish for another workshop to be set up, please email your interest to lyndall@www.captivate-action.com, and still make sure you put your name on the Waiting List. To get your spot on the Waiting List simply follow the link, and if you have any questions of course just get in touch.